Women's religious orders have served both Catholics and non-Catholics within the Philadelphia community since the establishment of the Diocese of Philadelphia two centuries ago. These women, who have and who continue to devote their lives to the betterment of society have played a pivotal role in social work, education and medicine. As we begin to commemorate the 150th anniversary of the start of the Civil War, one example of this service that should be highlighted is the work of the Daughters of Charity (formerly Sisters of Charity) at Satterlee Military Hospital. 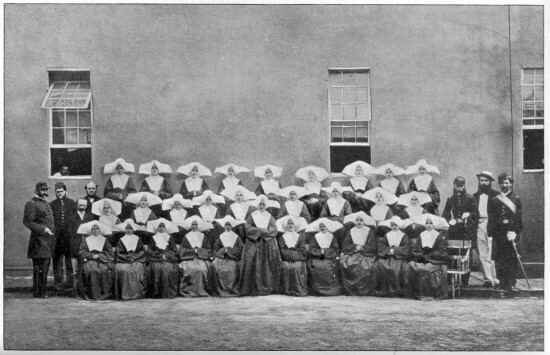 The sisters ministered to thousands of wounded and dying Civil War soldiers from 1862 until the hospital closed in 1865. The 12-acre site where the Satterlee Hospital was located in West Philadelphia, bounded roughly by 40th to 44th Streets, from Spruce to Pine Streets, was at that time very rural, far removed from the cramped and crowded conditions of urban Philadelphia. The 'pure country air' afforded the soldiers an opportunity to rest and recover from their wounds. 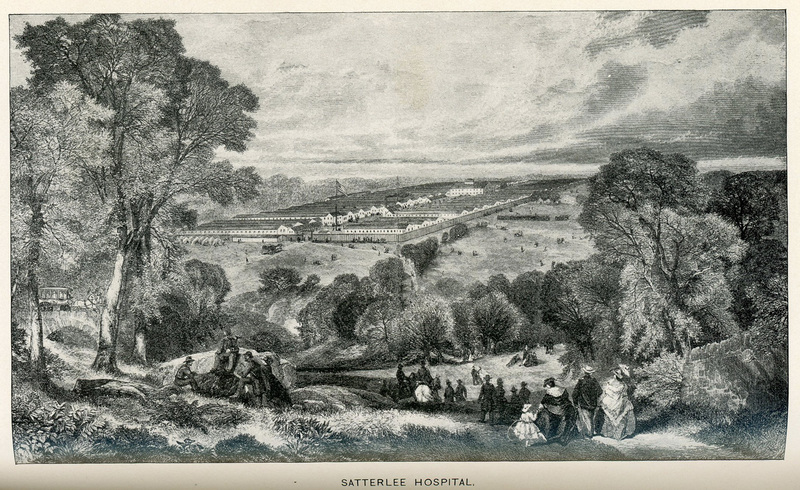 The hospital, initially called West Philadelphia Hospital, was renamed Satterlee Military Hospital in honor of Richard Smith Satterlee, a distinguished army surgeon. The surgeon in charge was Dr. Isaac Hayes, an Artic explorer before he joined the army. The hastily constructed buildings were completed in just over 40 days. 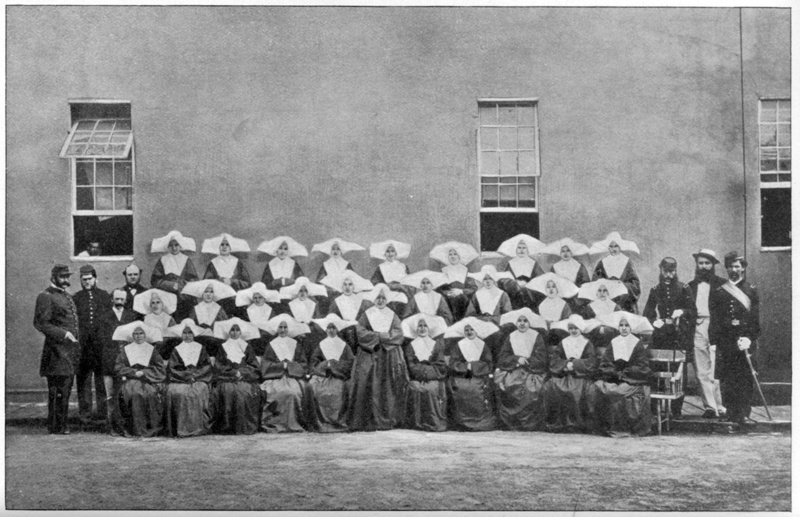 The 2,500-bed facility was not quite finished when 22 Daughters of Charity arrived on June 9, 1862. Initially, the hospital was fairly ill equipped, especially with regard to the accommodations for the sisters. Beverages were served in wash pitchers and the food in basins. The sisters ate their meals earlier than the officers, sharing just four eating utensils reserved for officers' use. The chapel was so small that some sisters had to exit the room so others could enter and receive Holy Communion. Satterlee Hospital became a self-contained city when a tent city was built on the grounds in 1863. The hospital increased its capacity to accommodate 4,500 wounded soldiers. A 14-foot high fence surrounded the property, which now sprawled south to Baltimore Avenue and west to 46th Street. On the grounds there was a post office, clothing store, laundry facility, carpenter shop, printing shop, dispensary, library, and three kitchens referred to as restaurants. Although the official capacity of Satterlee was 4,500, the actual capacity exceeded this number. After the Battle of Bull Run, the wounded arrived by the hundreds. After the Battle of Gettysburg, they arrived by the thousands, swelling the hospital population to more than 6,000. During the Battle of Gettysburg which occurred during July 1863, the greatest number of wounded were admitted to the hospital in a single month. The following month of August saw the greatest number of deaths in any one month, averaging at least one per day. In just one year, patients consumed more than 800,000 pounds of bread, 16,000 pounds of butter and 334,000 quarts of milk. During the war, more than 100 Daughters of Charity passed through the doors of Satterlee Hospital, ministering to the wounded soldiers' spiritual and medical needs. The tiny chapel was soon expanded to seat 400 worshippers. Many soldiers often arrived several hours before mass to obtain a seat. Several wounded soldiers contributed generously to outfit the chapel properly, purchasing a set of stations of the cross and taking great pains to decorate the chapel for feasts and special occasions. 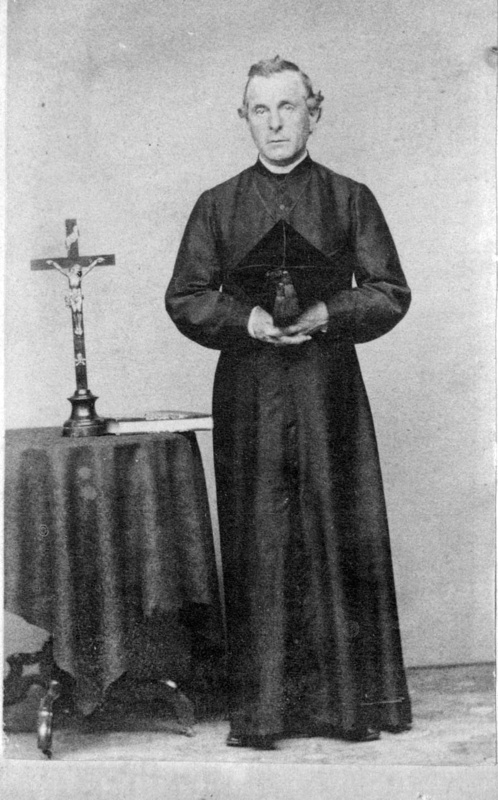 The hospital's chaplain was Father Peter McGrane who was stationed at St. Patrick's at 20th and Locust Streets. Every day, Father McGrane traveled from St. Patrick's to Satterlee to say mass, hear confessions, instruct and baptize and frequently arrange for burial. He labored throughout the war ministering to the wounded and dying. Archbishop James Wood also visited Satterlee several times to confirm many adult converts. The practice of military medicine during the war was an eye-opening experience. The wounds caused by the new and improved artillery met the outdated medical practices of understaffed field hospitals, resulting in an epidemic of needless deaths. Conditions began to improve with the advent of permanent army hospitals like Sattelee, staffed by experiences surgeons and dedicated sisters. During its four-year existence, more than 50,000 wounded soldiers were treated at Satterlee. The contributions made by the medical professionals and the Daughters of Charity who staffed the hospital are immeasurable. PAHRC holds a copy of a diary kept by a Daughter of Charity at the hospital from 1862 to 1865. Smith, Sara Trainer, ed. "Notes on Satterlee Military Hospital...from the journal kept at the hospital by a Sister of Charity." Records of the American Catholic Historical Society 8, no. 4 (December 1897): 399-449.